Spectacular displays characterize one of Myanmar’s most renowned festivals. 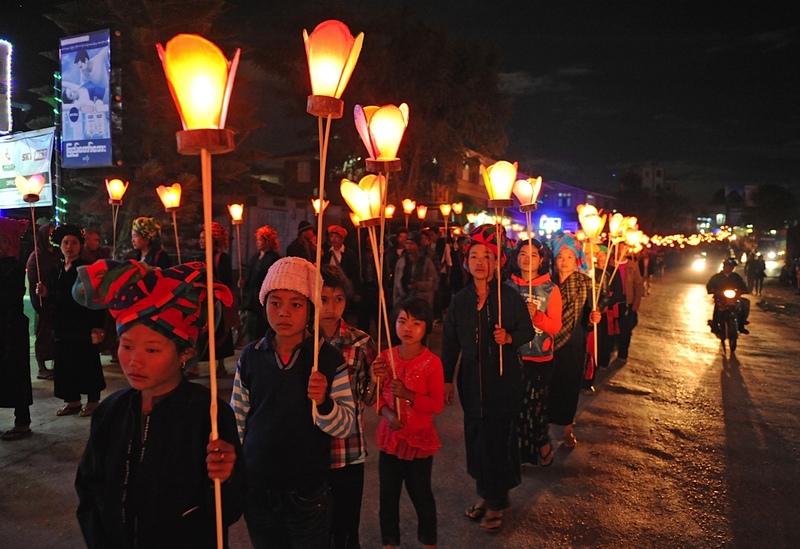 Each year, when the moon is full in the eighth month of the traditional Burmese calendar, the Tazaungdaing Festival (aka the Festival of Lights) is held to mark the end of the rainy season. It is a time of games, marching, fireworks, lanterns and hot-air balloons. This year, the festival was held on November 16, and Myanmar-based journalist Phil Heijmans was on hand in Shan State to capture the spectacular displays (and an equally spectacular crash). A monk tries his luck at a game during the annual Tazaungdaing Festival in Shan State, Myanmar on Saturday, November 16, 2013. 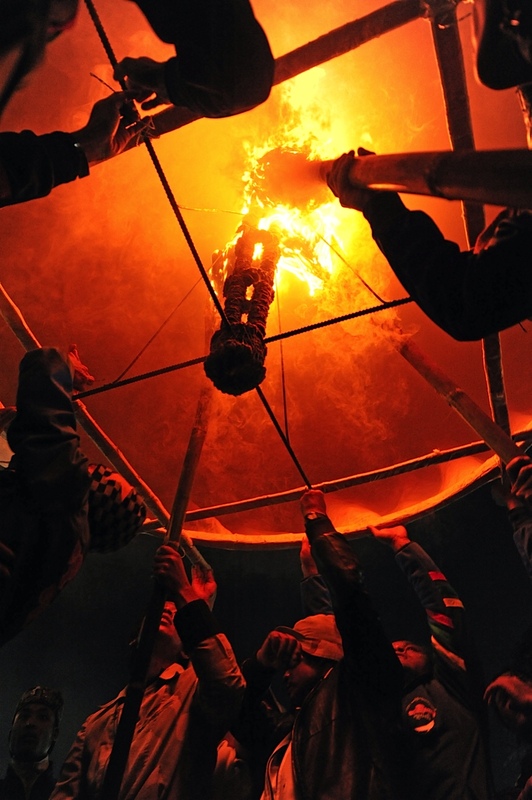 The Tazaungdaing Festival is held each year in celebration of the end of the rainy season. 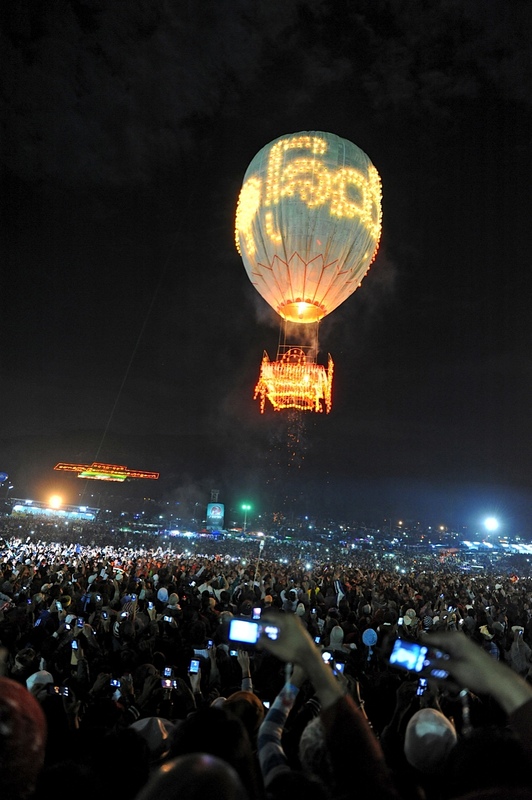 Flaming torches are used to elevate a hot-air balloon in celebration of the annual Tazaungdaing Festival in Shan State, Myanmar on Saturday, November 16, 2013. 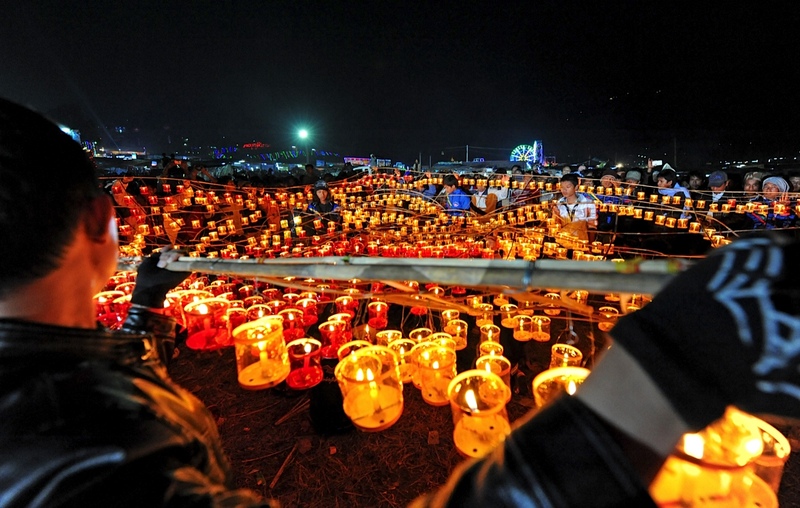 The Tazaungdaing Festival is held each year in celebration of the end of the rainy season. 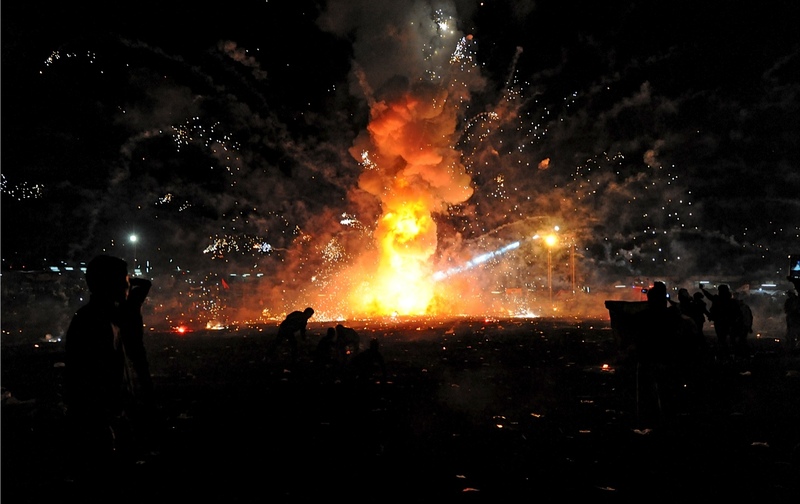 A hot-air balloon that caught fire crashes into the ground, igniting hundreds of fireworks as locals scatter during the annual Tazaungdaing Festival in Shan State, Myanmar on Saturday, November 16, 2013. One of dozens of hot-air balloons built from bamboo and mulberry paper ascends into the sky in front of the Sulamuni Buddhist Pagoda in Shan State, Myanmar. 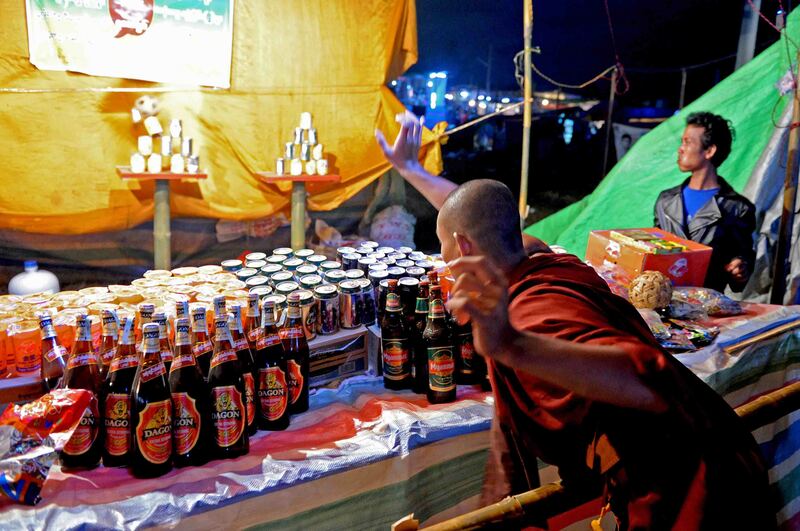 The Tazaungdaing Festival is held each year in celebration of the end of the rainy season. Shan locals make the final preparations to a candle display that will hang below a hot-air balloon during the annual Tazaungdaing Festival in Shan State, Myanmar on Saturday, November 16, 2013. 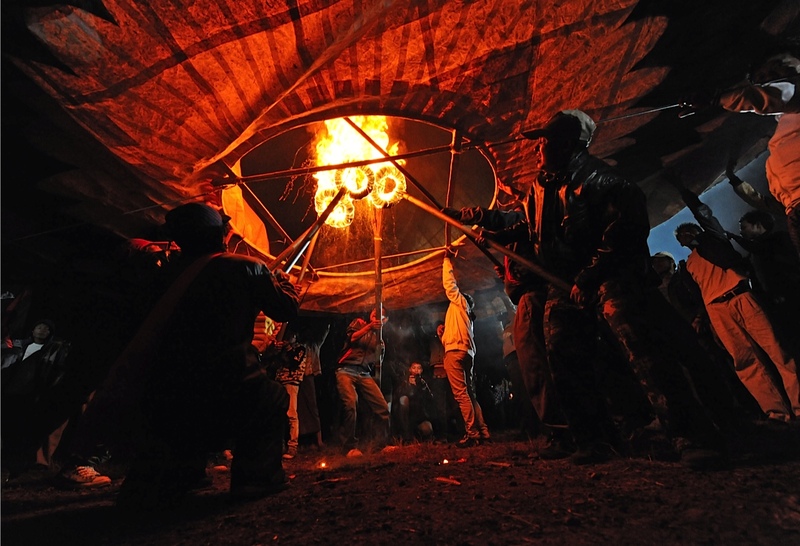 Locals use flaming torches to elevate a hot-air balloon in celebration of the annual Tazaungdaing Festival in Shan State, Myanmar on Saturday, November 16, 2013. The Tazaungdaing Festival is held each year to mark the end of the rainy season. Villagers in Shan State march the streets holding traditional lit lotus flower effigies in celebration of the final day of the Tazaungdaing Festival, which is held each year to mark the end of the rainy season in Shan State, Myanmar on Saturday, November 16, 2013. 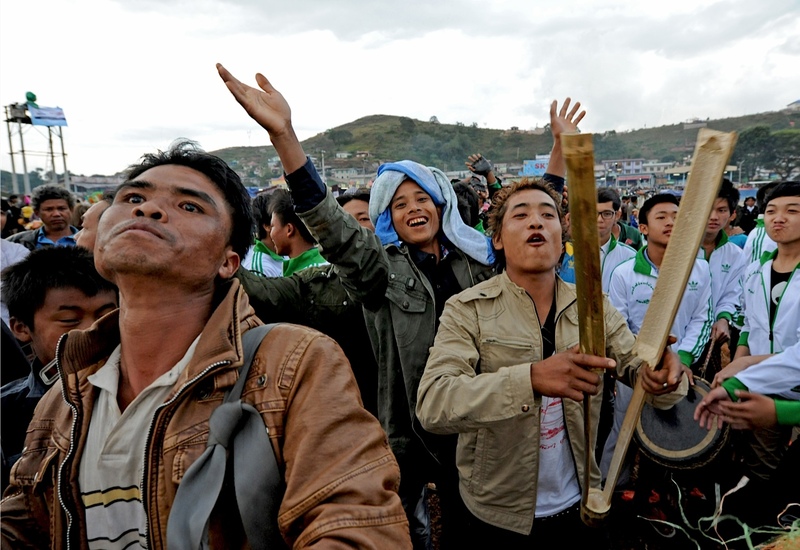 On November 17, 2013, jubilant Shan villagers parade the streets playing instruments and dancing in celebration of the final day of the Tazaungdaing Festival, which is held each year to mark the end of the rainy season.